1. Stepping Stones PSL Book 1A- Penty Akhri: This book focuses on instruction in the 40 letters of the Penty Akhri of the Gurmukhi Script, the script of Sri Guru Granth Sahib. Each letter is taught over three pages with explanation of the shape and the sound of it. 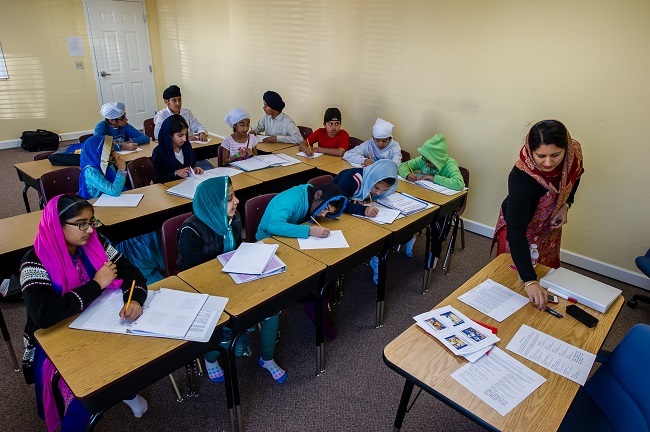 There is focus on building rich Punjabi cultural vocabulary in each lesson. Each lesson includes handwriting practice as well as letter recognition exercises. 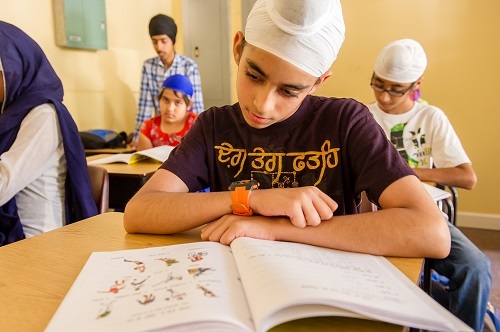 By the time the lessons in PSL Book 1A are completed with diligence, the student is ready to connect the letters to create real Punjabi Mukta words without using any vowel symbols (Matras).